Photo taken from the ground. 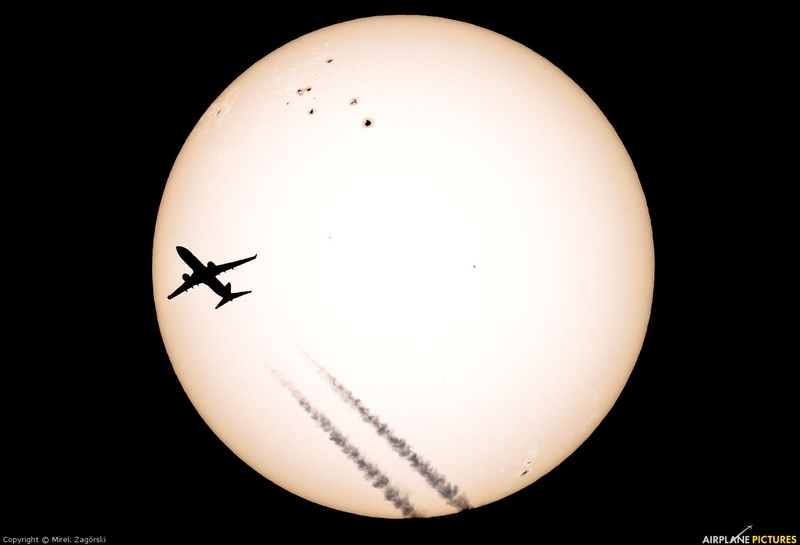 Flight AUI128 CDG-KBP crossing the disk of the Sun. A few sunspots is visible, the bigest one is "2055". 2400mm + EOS 50D.